Would you like to discover how to celebrate Christmas in the old tradition? 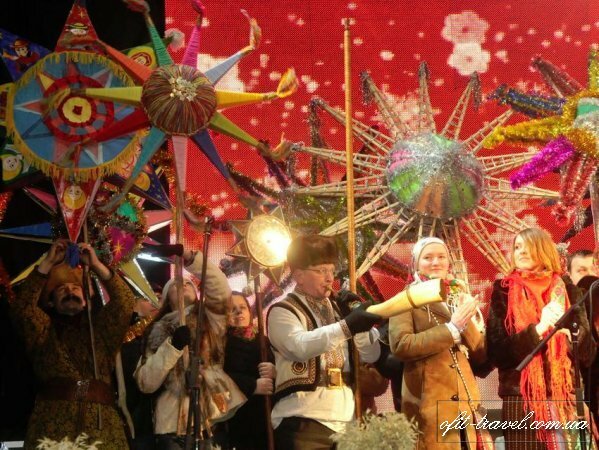 Visit Ukraine in Christmas, country of "Kolyada" – Ukrainian Christmas songs that has special meaning and a special symbol on Christmas Eve. 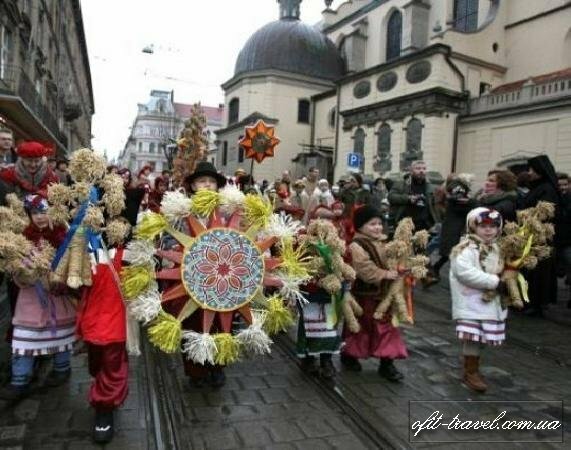 Get acquainted with the ancient city of Lviv – cradle of Ukrainian traditions, admire the beauty of the Carpathian Mountains, visit Kyiv – Mother of All the Russias, dive into Christmas atmosphere from west to the east from Carpathians to the capital. 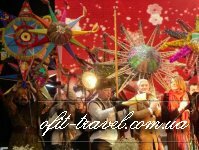 Tour operator "Ofit-service guarantees you unforgettable impressions, Christmas mood and a pleasant journey. Arrival. Meeting at the airport. Transfer to the hotel. Accomodation. Walk in the city centre. Free time. Overnight. Breakfast. Lviv is a very beautiful city with its narrow medieval streets paved with stones, architectural decoration done in different styles preserved in its original form. This is an ancient picturesque city founded by Prince Danylo Halystky in the middle of the 13th century. During the panoramic tour you will have an oportunity to admire St. George Cathedral (1765) in baroque-rococo style with unusual ornamental entry, National University Ivan Franco - one among the oldest in Europe founded in 1661, Lychakiv memorial cemetery - most beautiful necropolis in Ukraine, which is rather a sculpture garden or a museum under open air than just a cemetery; High Castle from where you can enjoy the whole panoramic view of the city and surroundings beyond. Visiting Potocki Palace (Art Gallery) including Renaissance and Baroque art and collection of icon-painting. Free time. Traditionnal Christmas Eve Supper called “Svyata Vecheria” with 12 different foods. After the dinner possible free visiting of cathedrals in the city centre. Breakfast. Excursion in the ancient part of the town. You will walk through the cozy streets of Lviv where each building is an architectural masterpiece with a rich history. You will discover The Opera House (1900) - an architectural masterpiece with gorgeous paintings and sculptures in the interior; Taras Shevchenko’s monument; Rynok square (16th century) - the heart of the city listed by UNESCO World Heritage Site; Armenian quarter with a splendid Armenian Virgin Mary’s Dormition Church (1370), Dominican Cathedral (1798); an interesting Pharmacy Museum that is one of the oldest operating pharmacies in the world; Baroque style Jesuit Cahedral; the Latin Cathedral and the Transfiguration Church; Jewish quarter with the remains of the Golden Rose synagogue; etc. Visiting Folk Architecture Museum ”Shevchenkivskyi gai” - an open-air museum containing 120 monuments of folk architecture including six wooden churches. Walk in the centre animated with “Vertep” - scenes from Bible of Jesus birth, they show little Jesus in manger, Mary, strangers offering their gifts and Bethlehem star in the sky. Dinner. Overnight. Breakfast. Excursion to the ancient town Zhovkva. Panoramic city tour including Main Market Square, the Cathedral of Saint Lawrence (1606) as well as the castle (1594-1606) and its ruins of old defensive constructions, the monastery of the Dominicans (1653-1655), the synagoge dating from the 17th century, the Monastery of the Basilians with the church of the feast of Christ rom the 17th century, the Church of the Holy Trinity etc. Departure to Krekhiv and visiting the buildings of Monastery of Vassilius, dating from the beginning 17th century. Returning to Lviv. Transfer to the railway station and departure to Ivano-Frankivsk by train in the 2nd class (4 hours in route). Arrival. Accomodation. Dinner and overnight in the hotel. Breakfast. Ivano-Frankivsk is a the gateway to the Ukrainian Carpathians. Panoramic city tour including Market Square with the Town Hall, Egg Fountain, Holy-Pokrovsky Orthodox cathedral - former Armenian Church, Church of Virgin Mary, Church of the Holy Resurrection etc. Transfer to Kolomyya - peculiar corner of Ukraine, who combined in himself the Austro-Hungarian character development and atmosphere of a European town. Visiting Pysanka Museum - one of the most interesting museums in the whole Ukraine. And the aura of its building, unique 13,5 m high stone egg, fills everyone with joy and gladness. The funds of museum have an abundant collection of pysanky, over 12,000 examples of this unique art, from every region of Ukraine and abroad. Departure to Yaremche. Visit the mysterious waterfall Probiy, souvenir market, selling handicrafts made from natural materials. You will feel the fresh mountain air, rich aromas of mountain rivers, grasses and trees that grow only in this area, see the original architecture and feel the atmosphere of picturesque town with a distinctive culture of the indigenous population of the region Yaremche - hutsuls. Departure to Chernivtsi. Dinner and night in the hotel. Breakfast. Chernivtsi is a wonderful city is spread out at the foot of Carpathian Mountains, on the picturesque hills of the Prut River. It fascinates with its eclectic architecture, rich cultural heritage and the spider-web like labyrinth of ancient European streets and squares. Accomodation in the hotel. 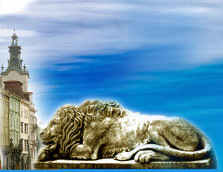 Panoramic city tour including St. Nicolas Cathedral, Holy Virgin Nativity Church. Visit to the University - the former residence of Bukovinian metropolitans. Free time. 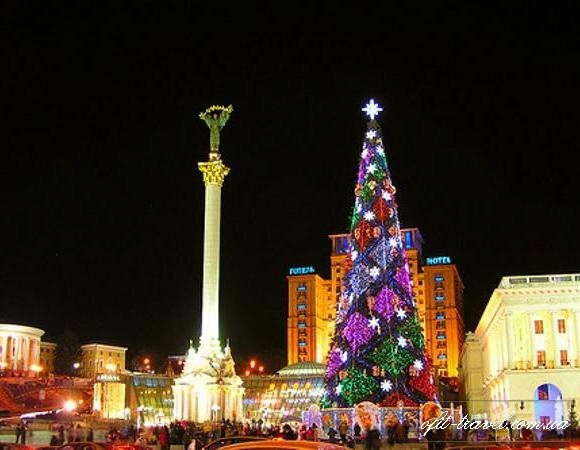 Transfer to the railway station and departure to Kyiv by train in the 2nd class. Overnight in the train. Arrival. Breakfast. 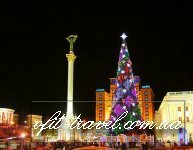 Panoramic city tour in the capital of Ukraine and the cradle of Eastern Slavonic states. The tour includes Golden Gates and Vladimir’s hill, which is supposed to be the place of foundation of Kiev-city, Bogdan Khmelnitsky’s Monument, National Opera and Ballet Theater, St. Vladimir’s Cathedral - a splendid architectural pearl, with beautiful paintings of V. Vasnetsov and St. Michael’s Golden Domed Monastery founded in 1108, Kyiv Founders’ Monument, Khreschatik Avenue, Independence Square - the scene of many notable events in the capital city of Ukraine. Visiting St. Sofia Cathedral - the world famous historical and architectural monument of the first half of the 11th century. The cathedral is famous for its mosaics and frescos by Byzantine masters. It is the first monument in Ukraine listed as a UNESCO World Heritage Site. Accomodation. Optional visiting Kyiv Opera. Dinner and night in the hotel. Breakfast. Visiting The Holy Kyiv Pechersk Lavra - the Orthodox Christian monastery that is the holiest place of pilgrimage in Ukraine. It was founded in times of Yaroslav the Wise in XI century and is one of the most ancient monasteries in Old Rus. Trinity Church, the Assumption Cathedral (renovated in 2000), the Refectory Church and the labyrinth of the Near and Far Caves, with their relics of saints, are real masterpieces of world architecture. 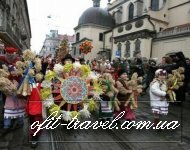 Walk along Andriivsky Uzviz with possibility to buy Ukrainian souvenirs. Overnight. Breakfast. Free time. Transfer to the airport for your flight back home. - Meals: 8 buffet breafasts and 8 dinners. - English guides service during the tour (the guides will not accompany the group during the train transfer). - Entrance fees according to the program: Art Gallery in Lviv, Folk Architecture Museum ”Shevchenkivskyi gai”, excursion to Zhovkva, Museum of Pyssanka in Kolomya, St Sophia's Cathedral, Kyiv Pechersk Lavra. - One free of charge for tour leader in single room.